Dr. Shimizu was born and raised in New Jersey. He attended Colgate University in New York for his Bachelors Degree and graduated from Case Western Reserve University School of Dentistry in 1986. Dr. Shimizu has been in private practice in the Los Angeles area since completing a two-year general practice residency program at the V.A. Medical Center located in the San Fernando Valley in 1988. 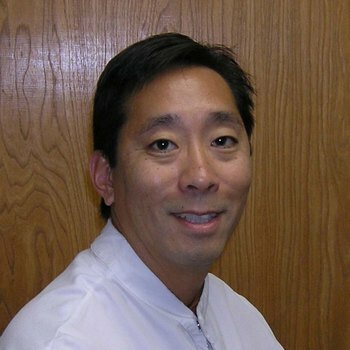 Dr. Shimizu has taught dental hygiene and removable prosthodontics at Pasadena City College and UCLA and has volunteered with the Flying Samaritans and Children's dental screening for Orange county. In addition to practicing dentistry, Dr. Shimizu is on the Peer Review Board of the Orange County Dental Society. He belongs to the American Dental Association, the California Dental Association, the Orange County Dental Society and the Japanese American Dental Society. Dr. Shimizu is married and has two wonderful children. When not at work, he enjoys golfing, trying to stay fit and experiencing some of the wonderful sites that Southern California has to offer.